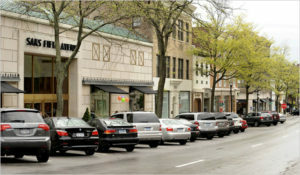 Drivers Unlimited provides premium limousine service in the Greenwich CT area. Whether you are traveling for business or leisure in the Greenwich area, you can rely on us to get you to your destination on time and in style with our Greenwich Limo Service. Our top priority is always the comfort, safety and convenience of our limo service passengers. So the next time you are headed for the airport from the Greenwich area, have a business meeting to attend, or a special occasion to mark, know that we are standing by ready to assist for all of your Greenwich Limo Service needs. Our Greenwich Limousine Service is available 24 hours a day, 7 days a week. All of our professional chauffeurs are background checked and fully licensed, providing exceptional service for clients like you seeking Car service in Greenwich. Let our skilled team provide you with a limousine service you deserve. We invite you to let our chauffeurs navigate the roads and cautiously transport you in complete style and luxury of our vehicles. This quality and reliable service comes standard with our Greenwich car service. Get to your destination on time, and in comfort with Drivers Unlimited. Select from our quality vehicles the perfect ride to suit your needs. We are proud of our quality fleet, and trust that when you ride with us you’ll enjoy the ride. Designed and appointed with passenger safety and comfort in mind, our vehicles are ergonomically and aesthetically pleasing as well. Feel confident in choosing Drivers Unlimited for your Greenwich car service. Our Greenwich Limousine Service is the most economical, dependable and comfortable way to travel in the Fairfield County area… and beyond! The Drivers Unlimited team is ready to look after all your needs, whether traveling in the Greenwich area, to a New York airport, or throughout the CT region. We have a range of well-maintained vehicles for you to choose from. Select from our Lincoln MKT town cars, to large Chevrolet Suburban SUVs, to ten-passenger executive vans. Our Greenwich Limousine Service is outfitted for style, class, comfort, and reliability. Simply call 203.656.8400 today for a FREE Greenwich Limousine Service quote, or use the button below to book your limo online. Ready to book our Greenwich limo service? 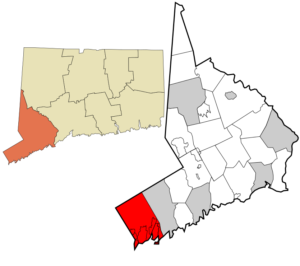 The Drivers Unlimited team is ready to look after all your needs, whether traveling in the Greenwich area, to a New York airport, or throughout the CT area. Just call 203.656.8400 today for a FREE Greenwich Limo Service quote!